The Danish Pig Research Centre has found no differences when comparing performance on farms positive or negative for Porcine Reproductive and Respiratory Syndrome (PRRS), which is likely the root cause behind Danish farmers' reported reluctance to eradicate the disease. In several countries, such as the US, the Netherlands and Canada, authorities are trying to eradicate certain areas of PRRS, often encouraged by the fact that diseases attributed to PRRS are ex­tremely expensive. In the US alone, annual losses attributed to PRRS are estimated at $664 million. It is therefore natural to investigate whether it should be tried to eradicate PRS in Denmark too. 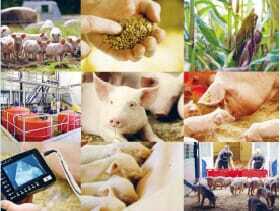 The Pig Research Centre is currently analysing the economic losses resulting from the disease for Danish pig produc­tion. Analyses include both acute PRRS outbreaks and chronically infected herds. Production data from farms with acute PRRS outbreaks was analysed. Data was compiled from a period before the out­break and a period after the outbreak. Ef­ficiency key figures before and after were converted to gross margin per place unit or per sow for a given time period. At the time of writing, the analysis comprises six sow farms. Losses caused by a PRRS outbreak last between 12 to 60 weeks after infection with an average of 33 weeks. Figure 1 provides an example of how liveborn, stillborn and weaned pigs per litter are affected during a PRRS outbreak in a herd. Overall piglet mortality was the parameter that was most affected - piglet mortality increased by 4.6 percentage points during an acute outbreak. The economic loss was analysed as loss per sow and year and varied from a profit of DKK43 to a loss of DKK734, the average being a loss of DKK235. Among the six farms in the study, infection with the American type of PRRS seemed to cause more problems than infection with the Danish PRRS. National averages from 2010 and 2011 were correlated with specific pathogen-free (SPF) health status. Farms were classified either PRRS-positive, PRRS-negative or PRRS status unknown for the entire 2010 or 2011, respectively. When PRRS positive and PRRS negative farms are compared (Table 1), there seem to be no significant differences in productivity in 2010 or 2011. Acute PRRS disease outbreaks are expensive and reduce productivity for a short period of time. However, analyses demonstrate that farms manage fairly quickly to return to the same productivity level as before the outbreak. Comparisons of productivity figures for an entire year reveal no differences, regardless of whether the herd is infected with PRRS. Provided the frequency of acute PRRS disease outbreaks is low, economic losses attributed to PRRS must be considered minimal. In 2012, it will be investigated whether PRRS affects welfare and drug use. When herd veterinarians and advisors co-operate on combating PRRS, it becomes easier to include all aspects in the process. Lately, focus has increased on combating PRRS on Danish pig farms as PRRS outbreaks cause losses and negatively affect the joy of work. Normally, the herd vet plans how to control PRRS but often, a much better solution would be to consult an adviser when changes are required in the layout of the facility, in the dimensioning of the batches or in ventilation etc. The adviser will also help estimate whether a certain effort is is likely to be profitable. The Pig Research Centre has held a PRRS workshop where Danish vets discussed how to examine herds for PRRS and how to combat or eradicate the disease. To improve the synergy in the corporation between vets and advisors, another PRRS workshop, to which vets and advisors were invited. The workshop emphasised the advisers’ focus on PRRS and underlined the benefits of cooperation for vets and advisors. Approximately 40 vets and 20 advisors participated with presentations and group discussions in the workshop. The presentations covered a wide range of areas – from an initiative to eradicate PRRS from the island of Bornholm to a presentation on how other countries are trying to eradicate PPRS. In between the presentations, vets and advisors discussed different problems in small groups. The day ended with a presentation from a cattle vet who explained how vets, farmers and advisors have successfully joined forces to eradicate different cattle diseases in Denmark. It is clear that the greatest obstacle remains how to motivate farmers to combat or eradicate PRRS. The Pig Research Centre has therefore initiated a series of research activities to clarify the effects of PRRS on Danish pig production. Go to our previous article from the Danish Pig Research Centre Annual Report 2012 by clicking here.